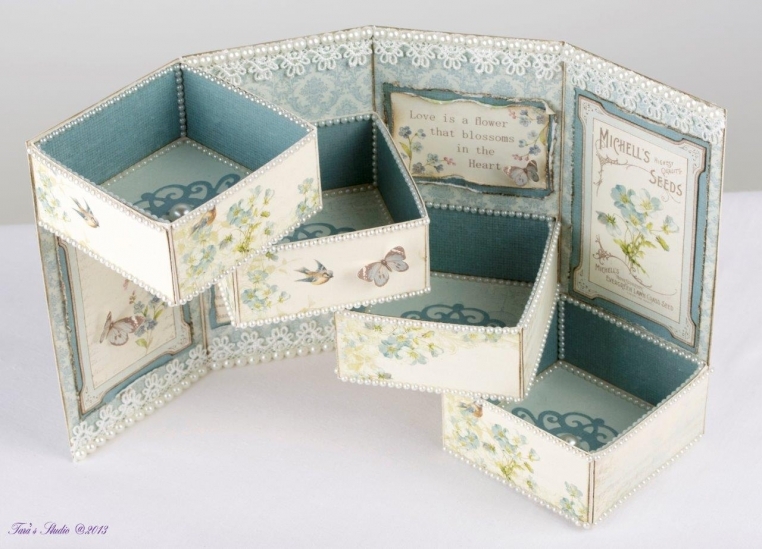 I made this Magic 4-Drawer Box using the vibrant blue papers of Vintage Garden. I have instructions on how to make this project on my blog. My favorite projects are dimensional ones and the high quality paper of Pion Design enables these projects to be cut and made so easily. I hope you all have a wonderful day! 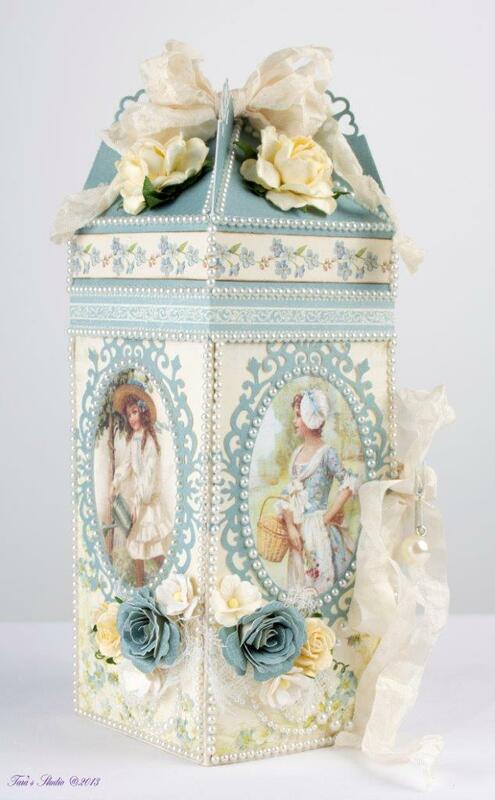 Hi Davis – The text on the inside of the box is from Vintage Garden Images PD3609. 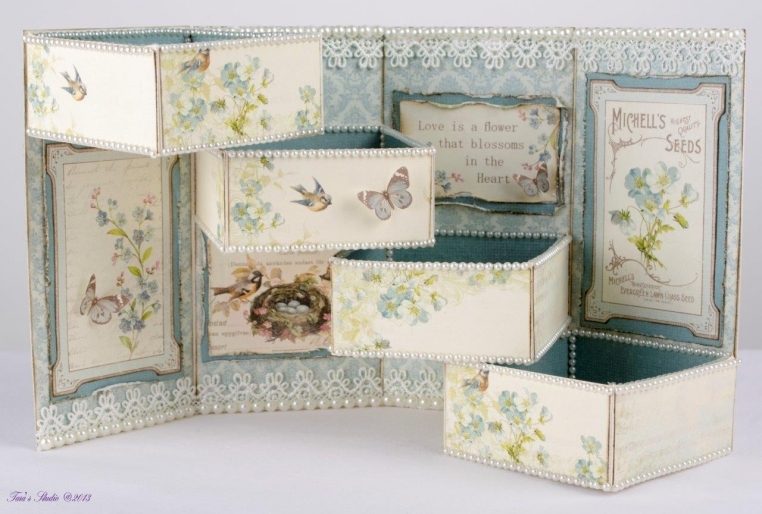 The designs inside the drawers were die cut (Tattered Lace Antique Frame) using Vintage Garden 6×6 Garden PD3704. There is cheese cloth on the box front. Such a brilliant find, seeing your work for the first time.